Many interventions aim to tackle violent radicalization. Monitoring the implementation of interventions results in a better identification of effective interventions and in a more appropriate selection of applicable interventions for practitioners. Using meta-analytic and network analytic methods, we present a method to store and retrieve information about countering (violent) extremism (CVE) interventions using a knowledge base that allows for different searches for relevant information. We describe the construal of this knowledge base using data on 99 European CVE interventions. Subsequently, we present inferences that can be drawn from this sample. 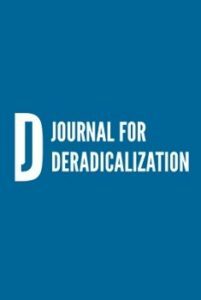 Key determinants to identify whether radicalizing people are eligible for participating in CVE interventions were found to be friendship relations, group affiliation and available intelligence. Dependent on the ideology targeted by the CVE intervention different goals and mechanisms were identified. Information on financial costs of CVE interventions was often not available in open sources. Implications of representing the information on CVE interventions into a knowledge base are discussed.